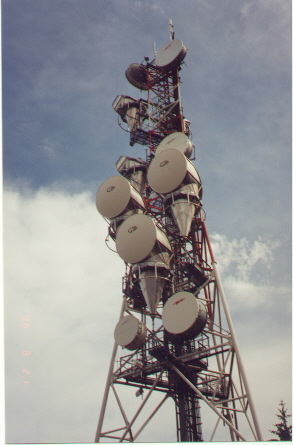 A beautiful picture of the tower structure at Ryder Lake. 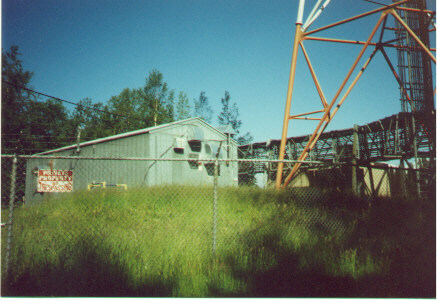 It sits on the side of a small mountain overlooking the Fraser Valley. The city of Chilliwack lies just northwest. As you can see this is a simple site. Generator back-up is supplied in the event of a power failure. The usual equipment has been installed. 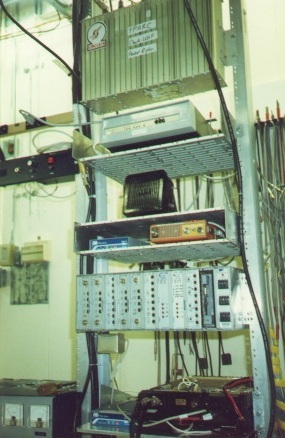 The Bell-202 modem below the duplexers, WR-155 simplex repeater and TNC, digital/audio panel, and two Harris UHF Trunk radios, and the UHF drop.